To make your way through a golf course, you’ll find yourself using a variety of different clubs. They are all designed differently to produce unique results. Some are easy to hit and control while others can prove to be a problem. 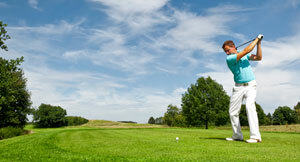 Both novice and experienced golfers alike usually find that drivers are the most difficult to hit. In fact, it’s not uncommon for golfers to dread taking it out of their supply, as the unique build of the club tends to throw off their swing. When it comes to drivers, there’s not a universally perfect model for everyone. The lack of a novice option requires golfers to choose their driver strategically. Minute differences in design can make a difference in how you use it. Understanding what makes a driver difficult to use will allow you to find an option that is easy for you to hit. The length of the shaft is something that is easier to notice. You should go with shorter shafts if you are a beginner. Longer options get in the way and require you to shift your position back. Shorter drivers are perfect for virtually any golfer, but it’s especially handy to those who don’t necessarily have the most stable swing. Look for drivers with shafts that are labeled short or standard. 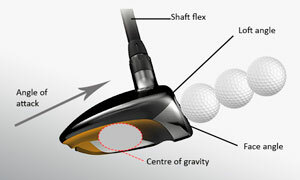 Shaft flexibility works in tandem with loft to drive your ball up and out. Many golfers automatically go with stiff drivers. However, this usually only hinders their performance. A mid-flex option is great. It has enough movement to push your ball further. 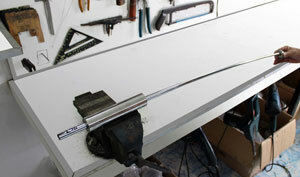 You can even go with a senior flex shaft for more control. The loft of the club refers to the vertical angle of the face. It directly affects the trajectory path of the ball. Higher lofts allow you to drive the ball higher up in the air. This gives you more distance and a better trajectory arc on the ball. Many golfers find that they have difficulty hitting with the driver because of a low loft of about 7 or 8. While it may seem more challenging to go with a lower loft, why do so when it only makes your game harder? Don’t be afraid to go with a loft of at least 12. An even higher loft will only provide you with better results. When coupled with a short and flexible shaft, you can get ultimate distance and control. The loft isn’t the only angle you should be aware of. The horizontal face angle also affects the trajectory of the ball. However, unlike the loft that gives you more or less height and distance, this angle is all about which direction the ball goes. You’ll find that a driver with an open or neutral face angle make you lose control of the ball. Beginners are especially notorious for slicing the ball as they swing. This means that the ball is hit at an angle instead of straight on. With a closed face angle, you are more likely to drive the ball in the direction you wanted. Closed angles tilt toward the ball. Contrary to popular belief, drivers aren’t required on the course. If you find that you are having way too much trouble hitting with the driver, go for a 3 or 5-wood instead. These clubs have more loft than standard drivers, so they are easier to use. There’s nothing in the rule books that forbid it, so why not make things easier? Even pros use those clubs instead of drivers. With those design elements in mind, you can easily find a driver that works for you. Of course, you’ll want to give the driver a few trial rounds before making a decision. With the right driver in hand, you’ll find that hitting and controlling the ball is much easier than before.